Creepsylvania’s favorite masked miscreants GHOUL will rise to the earth’s surface again for a short run of live dates supporting The Black Dahlia Murder. Slated to run from November 30th through December 12th, the trek will find GHOUL devouring stages alongside the likes of Pig Destroyer, Power Trip, Khemmis, Gost, Skeletal Remains, Havok, Devourment, and Midnight on select shows. See all confirmed dates below. 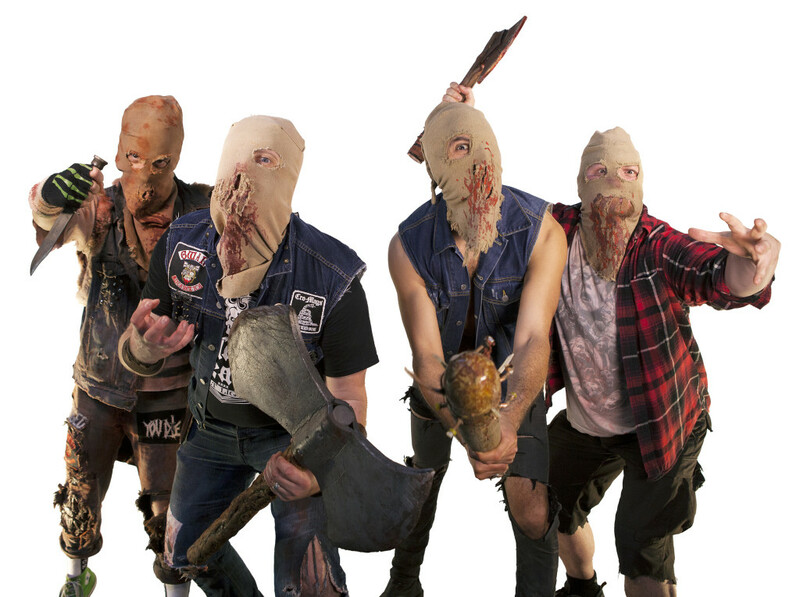 GHOUL released their Dungeon Bastards studio offering in 2016 via Tankcrimes. The record consumed Billboard Charts upon its first week of release debuting at #11 on the Heatseekers Chart, #13 on the Top Vinyl Albums Chart, #13 on the Hard Rock Chart, and #27 on the Independent Albums Chart. Produced and mixed by Scott Evans (Kowloon Walled City) at Antisleep Studios in Oakland and mastered by Dan Randall (Impaled, Annihilation Time, Fucked Up, Necrot) at Mammoth Sound in San Francisco, Dungeon Bastards wields eleven hemorrhage-inducing tracks of the band’s now-patented Creepsylvanian splatterthrash. Dungeon Bastards is out now on CD and digital formats. Tankcrimes recently repressed the LP edition (now available limited-edition splatter or blue vinyl) which includes a gatefold jacket that opens into the Dungeon Bastards board game. Players take turns advancing through a Creepsylvanian map; the first one to get to end of the map and jump the Wall Of Death wins. CD orders are available HERE, vinyl HERE, and digital HERE where the record can be streamed in full. 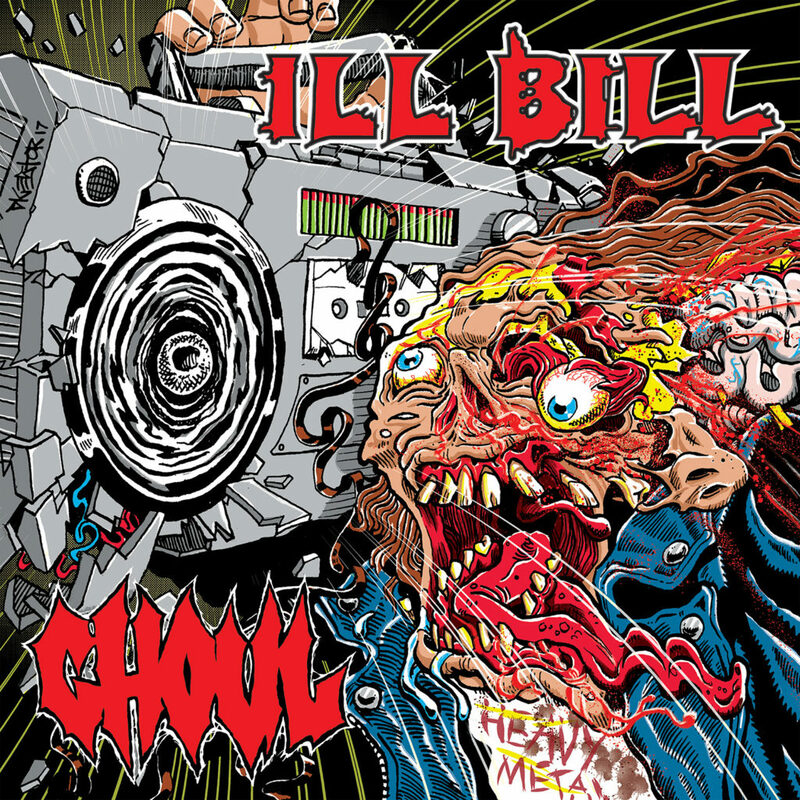 Most recently, GHOUL united with Brooklyn-based MC/Uncle Howie Records owner, Ill Bill (Non Phixion, Heavy Metal Kings) with Goretex (Non Phixion), for a two-song split 7”, out now via Tankcrimes! Said Riot Nerd of GHOUL’s portion, “With new releases on the way from seminal thrashers At The Gates, The Crown, and The Haunted this year, GHOUL proves with one track that they still wear the gore rotted championship belt in the land of speed and chug, and the eerie and verbose cinematic stalking of the Ill Bill contribution is just icing on the Creepsylvanian cake.” For physical orders, visit the Tankcrimes merch table HERE. Next → Next post: NECROPANTHER: Kerrang! Streams Oppression From Colorado Metal Practitioners; EP Out NOW!